Providing Clear Control - also in endoscopic and laparoscopic application. 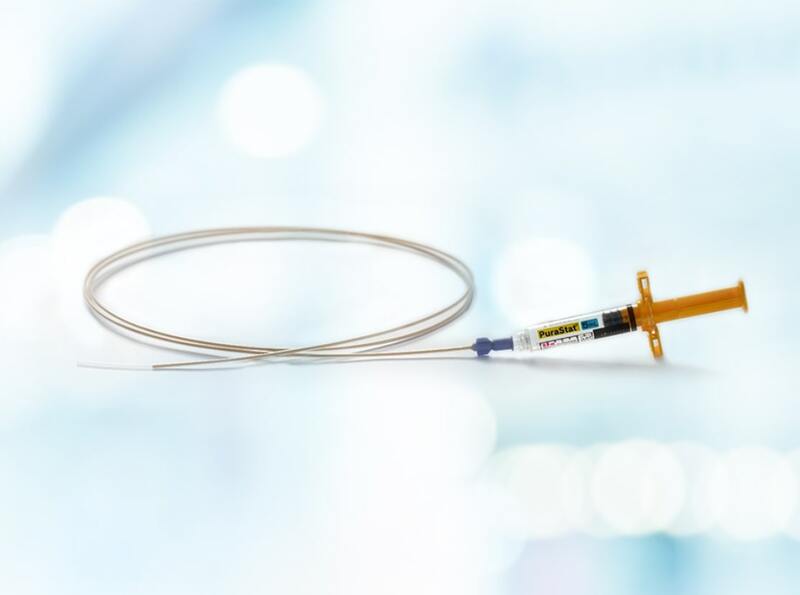 Whereas PuraStat® is a slightly viscous solution, it is suitable for endoscopic and laparoscopic use. PuraStat can be used in combination with electro-surgical coagulation forceps and clips. Both can be used even after application of PuraStat. Additional sutures maybe placed through PuraStat. 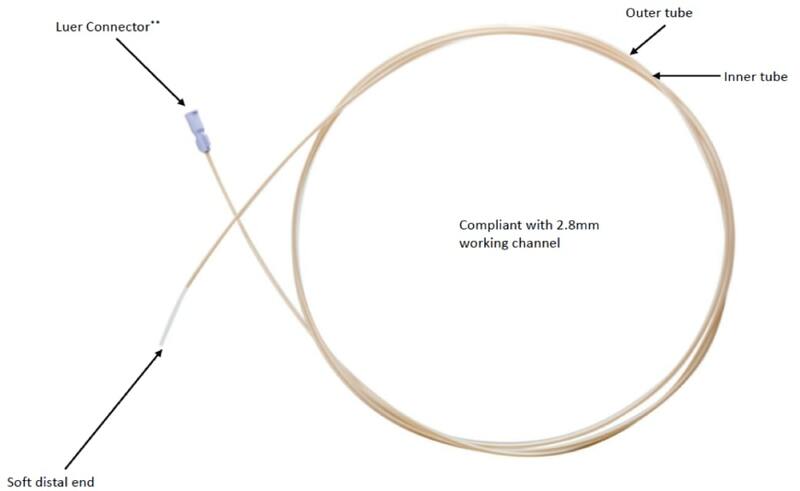 Picture showing TOP Corp catheter type E with PuraStat syringe. PuraStat fits requirements for a hemostat in endoscopy well and enables precise work in a narrow space. It is inert, transparent, deliverable through endoscopic applicator, non-adhesive and not clogging. PuraStat fits requirements for a hemostat in laparoscopy well: precise work in narrow space, inert, transparent, deliverable through long applicator, non-adhesive or clogging. PuraStat could also be used for robotic/ robot assisted laparoscopy. The inner cylinder can be moved in- and outwards creating a curved, articulating tip that allows accurate application. Top Corporation (Japan) is the legal manufacturer. Availability of these products may vary from country or region to another, as a result of specific local regulatory approval or clearance requirements for sales in such country or region. Please note luer style connector on the PuraStat® syringe is larger than “standard luer style fittings”. The PuraStat® syringe luer connection will not fit to a standard luer fitting.